In the earliest hours of Dec. 24, packages poured into UPS’s main hub, called Worldport, in Louisville, Ky. And they were piling up. Employees responsible for sorting packages—already deep into a 100-hour week—were furiously getting them ready to be sent on to their destinations. But dozens of other workers responsible for loading those packages into planes to be shipped out were left standing around idle, because the unexpected glut of packages from last-minute shoppers had swamped the company’s air fleet. The dearth of planes stranded a large volume of packages in Louisville that day. Many of those that did make it out were shipped too late to make delivery trucks’ pickup schedules and were left sitting in warehouses not far from their destinations. By sundown, UPS was forced to tell many Americans that the gifts they had ordered wouldn’t arrive before Christmas as promised. “The bottleneck was largely in UPS’s air business,” writes The Wall Street Journal (Dec.27, 2013), ”which retailers leaned on heavily in the past week as they scrambled to fill down-to-the-wire orders.” UPS originally expected to ship about 3.5 million packages at Worldport. The facility handles on average 1.6 million packages a day. Likely double that many packages arrived during the last-minute crush. On Christmas Eve UPS admitted that the volume of air packages in its system had exceeded its capacity. 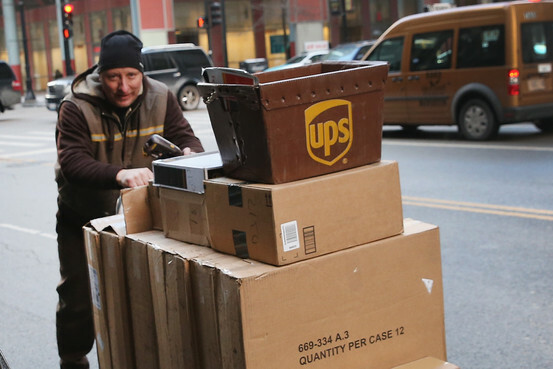 UPS carefully plans how it will handle the holiday peak. Extra resources such as additional cargo planes had been lined up as “hot spares”— aircraft that could be fired up quickly in case of a logistics emergency. But it ran into a confluence of factors. Retailers have been encouraging online sales, and they likely contributed to the logjam by offering some of their best discounts late in the season in a final push for sales. 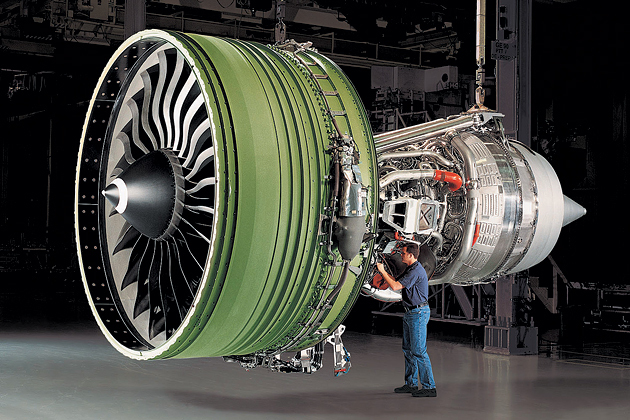 GE, on the hunt for ways to build more than 85,000 fuel nozzles for its new Leap jet engines, is making a big investment in 3D printing, reports BusinessWeek (Dec. 2-8, 2013). Usually the nozzles are assembled from 20 different parts. Also known as additive manufacturing, 3D printing can create the units in one metal piece, through a successive layering of materials. The process, discussed in Chapter 5, is more efficient and can be used to create designs that can’t be made using traditional techniques. The finished product is stronger and lighter than those made on the assembly line and can withstand the extreme temperatures (up to 2,400F) inside an engine. There’s just one problem: today’s industrial 3D printers don’t have enough capacity to handle GE’s production needs. “With today’s technology, it would take too many machines,” as many as 60 to 70, to efficiently make the nozzles, says GE. As part of a $3.5 billion investment in its aerospace supply chain, GE will spend tens of millions of dollars to invest in new technology and, over the next five years, triple the size of its 70-person 3D-printing staff and expand its factory floor fourfold.